Get one free taco at Taco Bell if you visit on Tuesday, October 28 between 2 and 6 pm. Thank you so much for clicking on my blog. I am working on my husbands Campaign every free second. As we all know with three small kids free time is hard to come by. That being said I will not have as many post until after Nov. 4. Free McDonald's on May 15. You will need to buy a drink but if you do you will get a free chicken biscuit in the A.M. and a free chicken sandwich in the P.M. I have found a great new web site to sell handmade goods. I make flip flops and I am going to use this site to sell my goods. All Lexington YMCA will offer free swim classes for kids 3-12 years old the week of Spring Break (March 31- April 4). Cheap Ice Cream at Baskin Robbins . On April 30 Baskin Robbins will have a scoop of ice cream for only $0.31 from 5:00-10:00 pm. 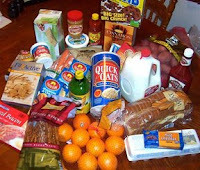 Did you know that if Kroger has a sales price and it rings up wrong you get that item for free! First Steps is a statewide early intervention system which provides services to children with developmental disabilities from birth to age 3 and their families. First Steps is Kentucky's response to the federal Infant-Toddler Program (ITP) established by Public Law 99-457 Part C. First Steps offers comprehensive services through coordination with a variety of community agencies and service disciplines. First Steps is administered by the Department for Public Health in the Cabinet for Health and Family Services. Typically, children who participate in early intervention experience significant improvement in development and learning. Children with developmental delays or conditions likely to cause delays benefit greatly from First Step services during critical developmental years. Services and support also benefit families by reducing stress. Early intervention services can decrease the need for costly special education programs later in life by remediating problems early in the child's development. Who Does First Steps Serve? By developmental delay - A child may be eligible for services if an evaluation shows that a child is not developing typically in at least of five skill areas: cognition, communication, physical, social and emotional or self-help. Automatic entry - A child may be eligible if he or she receives a diagnosis of physical or mental condition with high probability of resulting developmental delay, such as Down Syndrome. How are First Steps services provided? First Steps is available in all Kentucky counties. Services may be provided in the home, at child development or other designated centers or in a clinical setting, depending on the needs of the child and family and the availability of services in a given area. How Can I Learn More About First Steps Services? Anyone can refer a child for First Steps services by calling 800-442-0087. Referrals are directed to teams at the district Point of Entry offices that hlep children and families access needed services. Services are available to any child and family who meet developmental eligibility criteria, regardless of income. 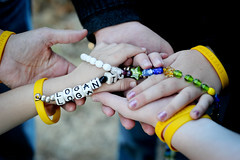 A family's participation in First Steps services is always optional. Please note the Family Share Billing Component of First Steps is experiencing technical difficulties. The December and January bills have not yet been printed, or mailed. Families will receive bills back-to-back. If you have questions, please contact Jeannie Bourg at 502-564-3756, extension 3763. Web site Note: The Web site is currently under construction as we make modifications eliminate duplication of information and make the site more user friendly. During this time, if you have difficulty finding information, please call (502) 564-3756. The DRAFT Evaluation, Assessment, IFSP and Developmental Status Scale policies, as well as a new required form are posted for review and public comment. Access policy documents by clicking on the links below. The policies will be posted and comments will be accepted through Feb. 15, 2008. Written comments can be provided by clicking here. E-mail comments will not be accepted. The policy addenda included here became effective Aug. 1. The first addendum eliminates the DOCS from current procedure. The second addendum specifies which criterion-referenced assessment instruments must be used by primary-level evaluators when conducting five-area assessments of children with established risk conditions and includes related policy modifications. These addenda also include Resource–15 (RES-15), which went into effective Sept. 1, and contains the list of Cabinet-approved assessment instruments referenced in the second policy addendum. These addenda contain the final policy language. These policy addenda were posted for public notice July 12. Written comments were received by e-mail. No formal written comments were received. Comments regarding elimination of the DOCS were positive. Inquiries, rather than comments, were submitted regarding the specified criterion-referenced instruments to use when conducting five-area assessments. Additional information about specific instruments and training and clarification regarding implementation dates also were requested . Questions regarding these policy changes should be directed to regional program consultants. On Friday, Sept. 7, the four proposed policy addenda, tentatively scheduled to become effective Oct. 1, were withdrawn for review and revision. When revised, proposed policies will be posted again for public notice and comment. Resource 15 (RES-15), which is posted here, remains open for comment through Sept. 30 and is scheduled to become effective Oct. 1. First Steps is experiencing severe provider shortages in many areas of the state. Please contact the local Technical Assistance Program Consultant for the district in which you are willing to serve or contact Rebecca Hahn at Central Office (502) 564-3756, ext. 3800. I love Fazoli's Kids night. Great food for $0.99, all the bread sticks you can eat, free drink refills, crafts, treats and movies for the kids. I went to the new ALDI store in town today. I spent only $27.00 on all the groceries you see in this photo. I also had a coupon from the paper for $5 off. The store was very bright and clean. You have to pay $0.25 to get a cart but when you return your cart you get your $0.25 back. Bring your own bags because bags are $0.05 each. Milk was only $1.99 a gallon. Large eggs were only $0.99 a dozen. Chick-Fil-A in Lexington has a FREE breakfast item each Monday in January. The staff at Chick-Fil-A are so friendly and happy to pass out the free food. Today I took two of my three kids and we all enjoyed the FREE chicken and saved over $8.00. If your kids love Chuck E Cheese sign them up on-line to receive free tokens on their birthday. I don't like to give my kids real birth dates on-line so I use a standard fake date near their birth dates for on-line forms. Chuck E Cheese will also send you great coupons. If you want to save money feed the kids at home and then just go to Chuck E Cheese and play games. One token per game is the best deal you will find anywhere. Cleaning up or building around the house? If you live in Lexington, KY you can get a BIG dumpster from the city for only $38.00. We have done this twice while working on projects around the house. "LOAN-A-BOX" a box will save you big money if you need a dumpster. You do have to plan ahead because there is a wait list for the loan a box. If you rented a private dumpster it would cost you about $150 base not including dump fees. The Loan-A-Box (formerly the Loan A Truck) program is a service where a resident or non-profit organization can schedule to have a box delivered to you overnight through the weekdays or on Friday for the whole weekend. 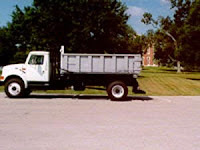 You can then load the 10x6x4 box for a total of ten (10) cubic yards with most types of debris and we will haul it away. This program is available to all citizens of Fayette County. This program is not for businesses or private contractors. The Loan-A-Box program now runs all year round (Previously the Loan A Truck program only ran from March 15th through September 15th each year) and is scheduled on a first-come, first-to-be served basis. The safe usage of the box is very important, and we ask that you review the guidelines for acceptable and unacceptable items. We are pleased to be able to offer this program to the residents of Fayette County. A fee of $38.00 is required in advance to cover the landfill disposal cost. This is not a rental fee. We will do our best to honor your scheduled date for the Loan-A-Box, but breakdowns and emergency situations do occur occasionally. If this happens, we will contact you as soon as possible and another date will be scheduled. If you need assistance or would like more information on the Loan-A-Box program, please call LexCall at (859) 425-2255 or send an email. Bluegrass Waste Alliance prohibits the disposal of certain materials. Below you will find a listing of the acceptable and unacceptable items. Please refrain from overloading the container, items must not extend over the sides.